Which is the better value the large avocado or the small one? For some time now I’ve wanted to crunch the numbers on this equation. The avocado on the left costs $1.25. The one on the right costs $0.99. Let’s break this down. Here we can see that the pits are similarly sized. 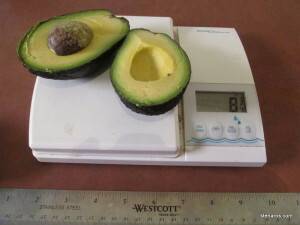 The large is 2.75 ounces bigger than the small. 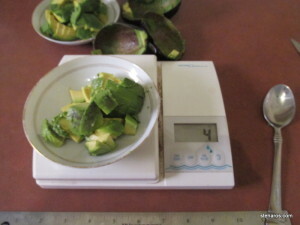 Overall, the large avocado gives us 6.5 ounces for $1.25, while the small gives us 4 ounces for $0.99. Large is the better deal. However, I also conducted a taste test, and I liked the taste of the smaller avocado better. Someday I should do a blind taste test. 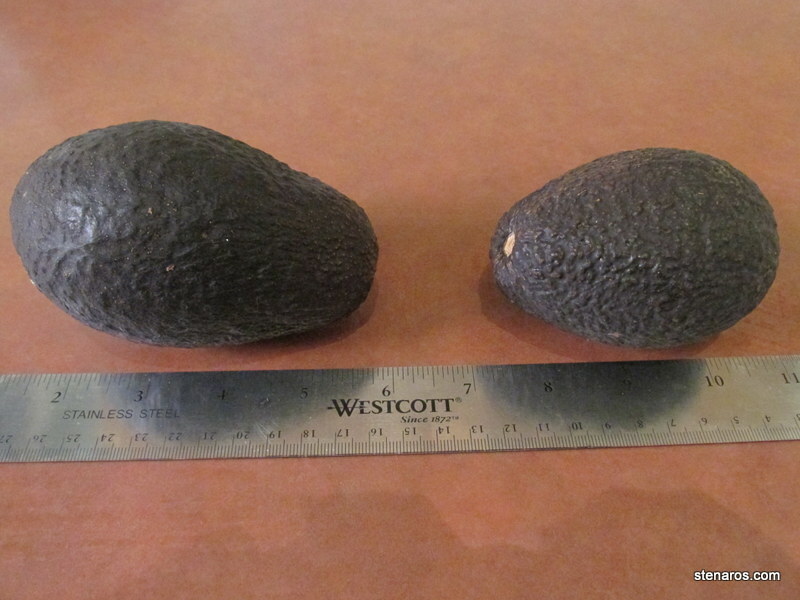 Are they two different varieties of avocados as well? 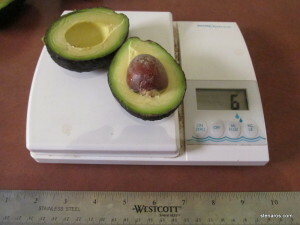 Different varieties have different fat and calorie content as well. And, when you are talking about avocado, those are really important factors. But, taste is really important too! 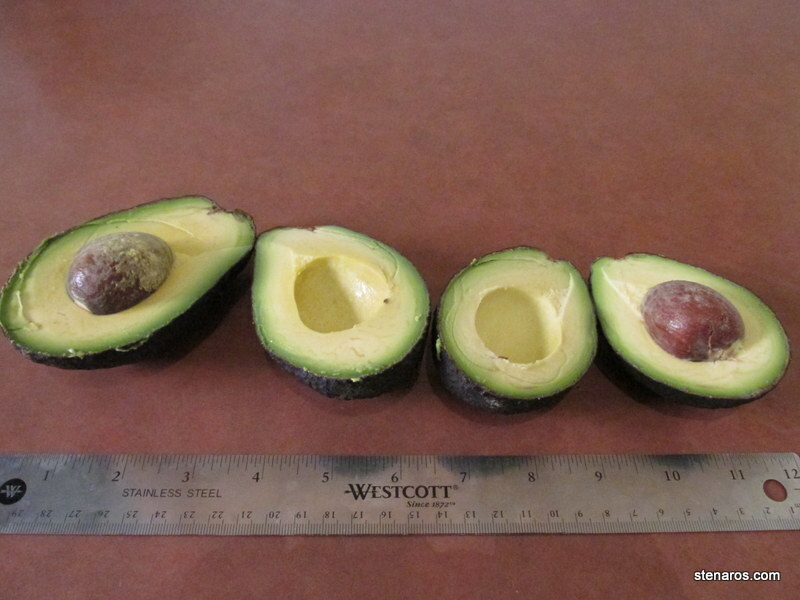 I hadn’t thought that they might be different varieties. That might account for how they taste. Hmmmm. Very nice study of the two! I am impressed. And I had no idea there were multiple varieties. Interesting experiment! Of course, my very American gut instinct was that bigger would be better, but taste is very important. 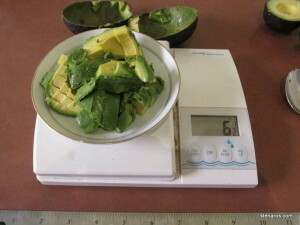 Alas, for me, avocados are one of those things that I buy with good intentions and never seem to use before they go bad.